WPC decking is an environmentally friendly wood substitute, which combines plastic and wood fibers. More and more people choose WPC decking to replace the original wood. 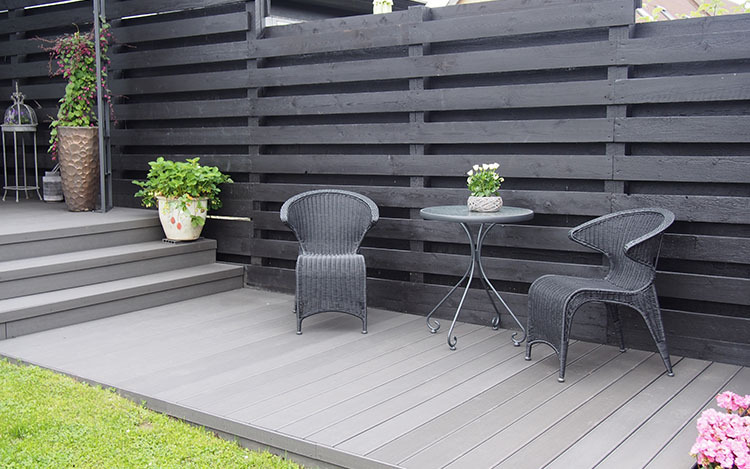 Composite materials can be used to make decking, fences or wall panels. Your ideal decking design may include many aspects. Before considering to use WPC decking, you can learn the advantages and disadvantages of composite decking through this article to help you choose the most suitable materials. Durable. WPC decking can be used in an outdoor environment for a long time, can withstand different climatic conditions, and has a long service life. Won’t split and rot. Traditional wood is likely to mold and rot after absorbing water. There may be safety hazards in use. WPC decking can resist rotting and warping caused due to dampness. Less maintenance. WPC decking is simple to clean and maintain. It does not require dyeing and sanding but only needs water and soap to clean occasionally, which greatly reduces the cleaning and maintenance time. Available in many colors. We offer 6 regular color options, and can also provide you with customized colors to meet your design requirements. Environmental friendly materials. WPC decking is made from recycled plastic pellets and wood fibers and is an ideal choice for environmentally friendly materials. Initial cost is high. 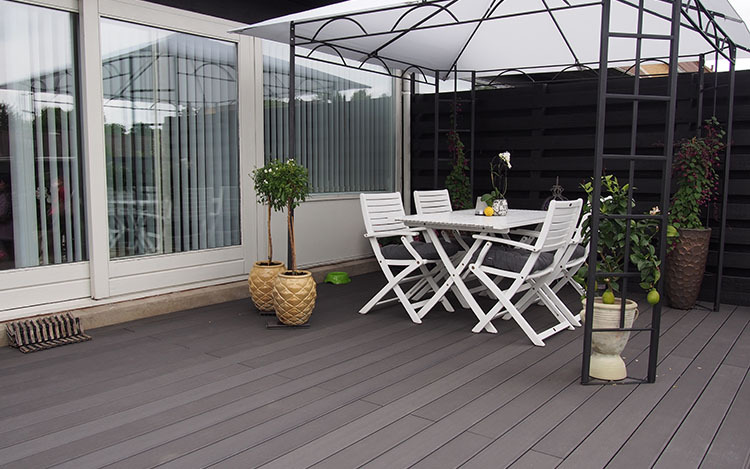 WPC decking purchase costs are higher than wood, but it saves later maintenance costs, and the overall cost is not too high after long-term use. Artificial materials. WPC decking is not 100% real wood. It is a composite of wood fibers and plastics, but still has realistic imitation wood grain effect. Not completely maintenance-free. WPC decking still needs to regularly remove leaves and other debris and wash them with soapy water. Heavier than wood. Compared with wood materials, composite materials of the same size are much heavier. We also provide hollow composite decking which is lighter than solid decking. This gallery contains pictures of our composite decking renovation projects. You can contact us for more information and quotations on composite materials. Can WPC Decking be Cut?